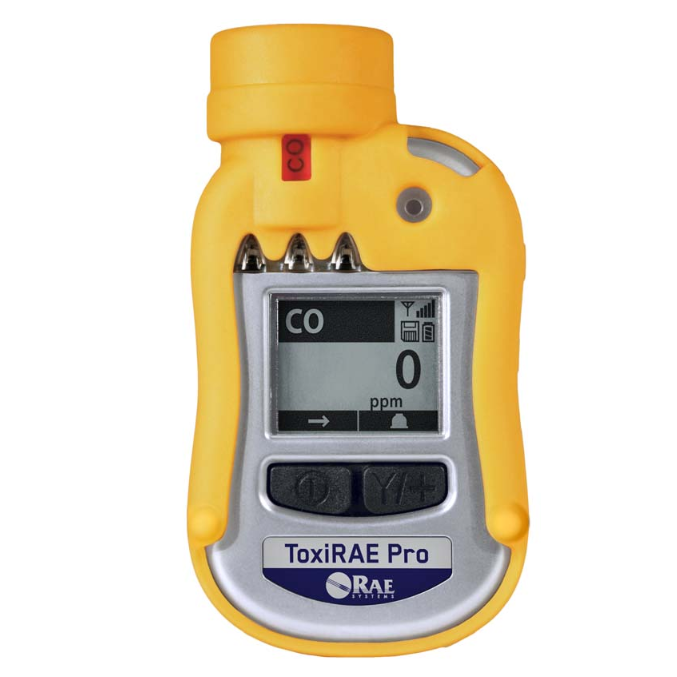 RAE Systems ToxiRAE Pro Carbon Monoxide Monitor Rental | Enviro-Equipment, Inc. Measures carbon monoxide 0-500 ppm. The ToxiRAE Pro takes worker protection to the next level by providing safety professionals real-time instrument readings with audible alarms for toxic gases such as carbon monoxide. The ToxiRAE Pro's intelligent interchangeable sensors store calibration data, so if you need to monitor one gas one day and another gas the next, swapping the sensors in your ToxiRAE Pro is all it takes. The ToxiRAE Pro is capable of measuring many other toxic gases (see user manual) - our rental unit comes with the CO sensor.